At Cascone & Kluepfel, LLP, we believe that the best people make the best lawyers. 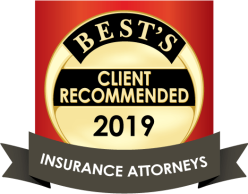 Our team of experienced insurance defense attorneys has a proven track record of success at trial, on motion and in the appellate courts. Our passion for excellence and genuine desire to be the best makes a real difference for our clients.